A groundhog contemplating the concept of the shadow in analytic psychology. In addition to being a holiday celebrated in the United States and Canada on the 2nd of February, Groundhog Day is a motion picture from 1993 written by Danny Rubin and Harold Ramis that really manages to say something essential about the human mind and life with both hilarious and uplifting effects. The story features Phil (Bill Murray), an egocentric TV weather reporter, who travels to Punxsutawney, Pennsylvania, to cover the Groundhog Day prediction of the arrival of spring. 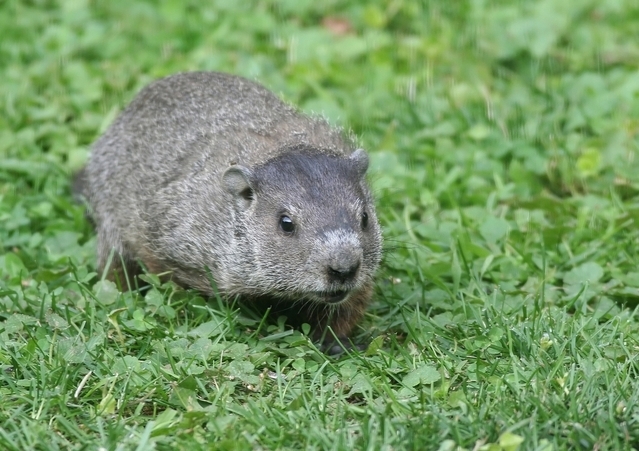 The holiday tradition in the town involves observing a groundhog named Punxsutawney Phil emerging from its burrow and concluding whether spring will come early based on whether it is sunny enough for the groundhog to see its shadow. While on what Phil regards as the most futile assignment ever, a blizzard blocks any attempt to escape from the provinces, and Phil with his colleagues — producer Rita (Andie MacDowell) and cameraman Larry (Chris Elliott) — are forced to stay for another night in the town. But it turns out no vacation. To Phil’s surprise, the Groundhog Day festivities are also held the next day, and the day after that. In fact, everything happens over and over again exactly as it did the previous day without anybody else noticing the absurdity. He finds himself stuck in a time and place that he absolutely loathes. Although the movie has received a lot of critical acclaim, and rightfully so, I wanted to write about the central allegory of the story that is funny, touching and inspiring. The film stands as a great example of individuation, a central concept in analytic psychology, which originated from the ideas of Carl Jung. Individuation is the process of self-realisation, in which the conscious is integrated with the unconscious. Punxsutawney Phil and his shadow are the key. As the question that lies at the heart of the spring-forecasting holiday is “will Phil see his shadow?”, the question for Phil, the cheeky weather anchor, is essentially the same. According to Jung, the encounter with the shadow (undesirable aspects of the personality) is a significant stepping stone on the path of individuation. As underlined by Phil’s constant witty remarks and the day that literally repeats itself, he feels stuck in life and projects his negativity upon others, albeit through humour. He is playing out his shadow but has not become aware of it yet. Therefore, he experiences life as a mundane grind and he must figure out how to break the cycle and find a sense of purpose in life. First, Phil exploits his perfect foresight to pursue worldly motives, such as indulging in food, stealing money and getting laid. Without having to care about the consequences, he starts living in a fantasy in which he gets to sooth the ego with whatever pops up from the unconscious. Phil’s ego suffers a blow, however, by a series of failures to score with Rita. At this stage, he is unable to differentiate between the other person and his inner object of desire. Depression ensues, and Phil attempts suicide with every method available, and technically succeeds with every attempt — only to wake up each time to the same radio morning show blasting I Got You Babe from the alarm clock radio at the hotel room. At the rock bottom, realising his inability to find happiness in the outside world, he is faced with his shadow, so to speak. It is only then when Phil begins to reconsider his inner motives and his ego-driven approach to the day that he thought he had become all too familiar with (i.e. life). He begins to view each encounter over the looping day from the other persons’ perspective and to develop his anima. The anima, in Jung’s view, is the totality of a man’s unconscious feminine psychological qualities (the animus being the masculine inner personality of a woman). Phil begins to see possibilities for self-improvement around him, and the day receives some much-needed variety through the facilitation of his individuation. He now channels his mental energy to and uses his knowledge gained through the iterations of the day (figuratively, life experience) for practicing the arts and helping others. It is through this selfless service that Phil ultimately makes tremendous progress and learns how to come to terms with his surroundings and himself. The motif of anima development is further realised at the end of the movie: Rita wins Phil for herself in a bachelor auction for $ 339.88, which is a blunt but concrete way of indicating his improvement. Later, he skilfully sculpts a bust out of ice portraying Rita, which can be seen as a symbol representing the feminine archetype in Phil’s unconscious. Most importantly, his psychic integration finally breaks the spell and enables the next day to begin. So there you have my concise interpretation of what the movie is about. Archetypes are the symbol-producing contents of the collective unconscious, and as such, are expressed in mythologies around the world and give rise to the imagery and themes across art forms. This explains recurrent motifs in the arts and the ability of certain works of art to resonate so well with the audience. You are welcome to share your take on the topics of this post in the comments. Groundhog Day entry in the Internet Movie Database. Wikipedia entry about the holiday Groundhog Day. Jung, C. G. 1968. Man and His Symbols. New York: Dell Publishing.